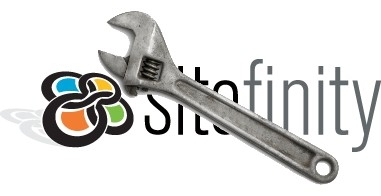 Sometimes maintaining your Sitefinity website can be the biggest headache you will face. Whether it is support for everyday Sitefinity use, security or accessibility updates or just having professional help to guide you through all the everyday niggles of Sitefinity maintenance, our dedicated support teams can provide the help you need. We handle Sitefinity website maintenance for a wide range of clients from schools and colleges to healthcare clinics to large businesses and corporations and everything in between. Our Sitefinity website maintenance services are tailorable to meet the needs of your organisation, whether you need a monthly website maintenance contact or just occasional help with updates and security. Call us today on 0330 555 4680 to find out more and one of our Sitefinity experts can help put together the perfect Sitefinity maintenance package for you. Our staff have a highly diverse range of skillsets related to Sitefinity which means we can provide an enormous range of website maintenance services. We can handle everything for you from complex backup and redundancy to training and support - or you can just have us on standby as someone to call to handle the Sitefinity technical bits so your staff don't have to! Give us a call today on 0330 555 4680 to speak to one of our Sitefinity experts and find out how we can help you with any and all aspects of your Sitefinity website and web application maintenance.